Miss World 2015 has already started and I am really excited for Miss World since it is being held in China because China always impressed us with its amazing activities and magnificent stage. Now, looking back at the previous year winners, the person that comes to my mind is always Agbani Darego – Miss World 2001. I have been a fan of her and I have been a fan of African beauties. We all know that Agbani Darego was a semi-finalist at Miss Universe 2001 contest who was the only one to wear a one-piece swimsuit. Not sure if it cost her a spot in the top 5, but I thought irrespective of that she deserved to be there and would have loved to hear her speak. Then she would have been one of the main contenders for the crown. She is intelligent and would have nailed this round. In both the swimsuit and Evening gown round, she was classy, elegant and had this queenly aura. Everything happens for a reason. Had she been in the top 5 and became one of the runners-up, it would have made her participation more difficult in Miss World which she was destined to win. At the Miss World contest the same year, she was still the same Agbani we saw at Miss Universe contest; tall, elegant, graceful and composed. But if something changed in her, it was for a better. Apart from looking so beautiful and classy, she had this youthful energy and looked so chic. The green gown flowing towards the end combined with her chocolate skin toned made her shine and complimented her cool personality. She looked radiant and every inch a beauty queen. As the final round approached, I was nervous for her since Miss Aruba was also growing on me that night. Loved the cheered and support for Nigeria every time the host called her. She was asked, “In these men’s world, what do you think you can change which men cannot?” She replied,“First of all I entered Miss World competition because I know it is a very charitable organization. In these men’s world If there’s anything I can do and be is to help the less privileged in the society because I really really want to give them as much help I can give. I love helping the needy at whole times and have a great love for humanity that has helped me and promised me to be the best I can be and to help everyone in need.” She was so confident and calmed. Once the question and answer round was over, I was more nervous than ever since Miss Aruba also gave a good answer and did really well in this round and she was lively, bold and full of life. I waited with bated breath and when Miss Aruba was announced as 1st runner up, I was sure it was for Agbani to lose. Then the announcement came, it was such a huge relief and the audience loud cheering made it more exciting. She had won the whole audience by the end of it. She became the first Nigerian and the native black African to win the Miss World Crown. Post winning the Miss World crown, she became a reason to be celebrated not just in Nigeria but in the whole continent of Africa too. She became a role model overnight. When she returned to Nigeria for her first official visit she met with government ministers and took part in a four-day celebration. She was even made an honorary member of the Council of Chiefs in Lagos, an extraordinary honour for a woman as young as she was and one that made her the country’s youngest chief. During her reign as Miss World, she travelled many countries as an ambassador of Miss World – Beauty with a Purpose project and attended high profile events. She wasn’t just a beauty queen, she had the looks to make her a top model. After her reign as Miss World, she was represented by the London and Paris branches of Next Model Management and landed a three-year contract with L’Oréal, becoming only the second Black model to accomplish this feat after Vanessa Williams, and was photographed by Annie Leibovitz for Vogue. Other brands she has modelled for include Avon, Christian Dior, Sephora, Target, and Macy’s. Darego has also appeared in Elle, Marie Claire, Allure, Trace, Stitch, Cosmopolitan, and Essence magazines, working with numerous designers including Oscar de la Renta, Marc Bouwer, Tommy Hilfiger, Ralph Lauren, and Gianfranco Ferre. She had always wanted to be a model since her childhood. Ambitious and clearly sorted in her mind about what she wants, she did everything with passion and hard work. And the results followed naturally for her. Due to her busy work schedule, Agbani left the University of Port Harcourt, but after moving to New York where she was signed to Next Model Management and Ford Models she enrolled at New York University where she studied Psychology, graduating in May 2012. Another thing worth admiring. She has judged numerous pageants, and fashion and modelling competitions including Miss World 2014, Miss England 2002, Mr. Scotland 2002, and Elite Model Look Nigeria 2012 and 2014. In 2010, she launched a style and fashion reality show Stylogenic on Nigerian television, and three years later announced her denim range, AD by Agbani Darego, which includes jeans, dresses, sunglasses and bags. This is what she wanted – a successful businesswoman. And she has become what she wanted. From participating in Miss Universe contest to being crowned Miss World, she has showed what one can achieve if one is really passionate about what they want. 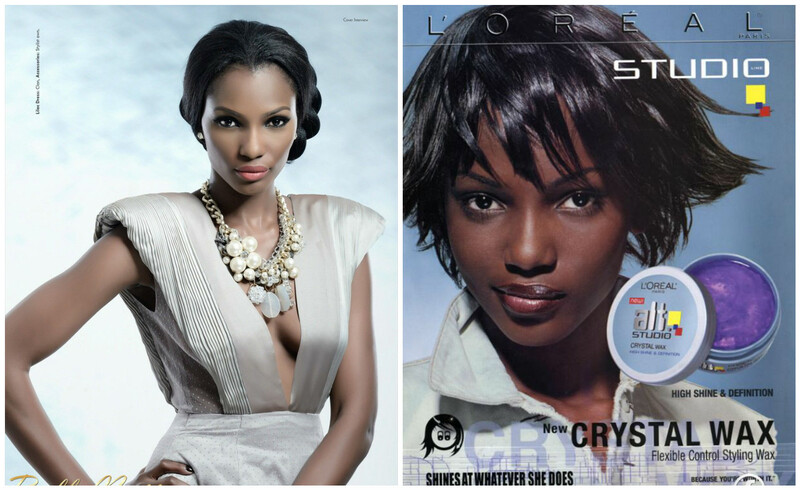 Agbani Darego today is a successful woman. She is smart, intelligent and sophisticated. It is always a serene to watch her and there is so much of a tranquillity within her, we could only gaze at her in astonishment. She will remain one of my favourite Miss World ever and one of the best Miss World. My favourites for Mister International 2015.